For a chic and ultramodern place to relax, this swivel glider recliner is perfect for you. 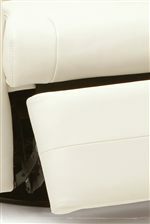 The smooth waterfall seat cushion hugs you with comfort as the defined headrest allows you to lean back with ease. Meanwhile, the straight footrest and track arms create a contemporary look. 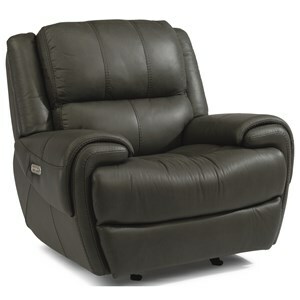 For ultimate relaxation and functionality, recline back or swivel from side to side. 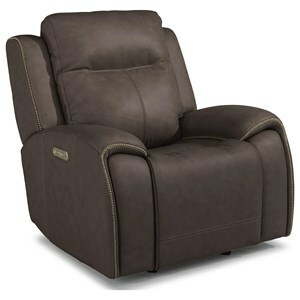 The Banff Swivel Glider Recliner with Defined Headrest and Track Arms by Palliser at Reeds Furniture in the Los Angeles, Thousand Oaks, Simi Valley, Agoura Hills, Woodland Hills, California area. Product availability may vary. Contact us for the most current availability on this product. Frame Construction Made with hardwood, softwood and engineered wood products; all joints pinned & glued for uniformity & strength. 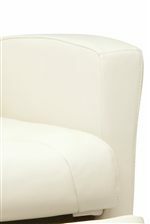 Padding & Ergonomics Back: Premium elastic webbing offers consistent suspension for the life of the product. Seat: Made with high resilience seat foam and interwoven 100% elastic webbing that offers consistent suspension for the life of the product. 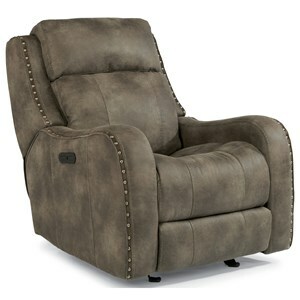 The Banff recliner brings sleek sophistication to your living room. 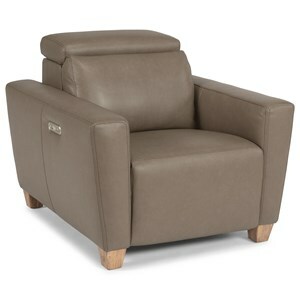 Made in North America, this chair is made with quality and care. 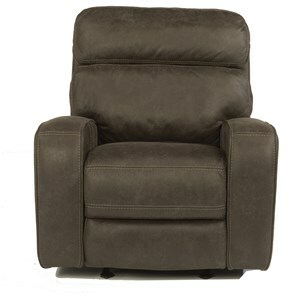 Available in multiple colors, fabrics, and leathers, this piece is perfect for everyone in the family and fits well in a contemporary-style home. 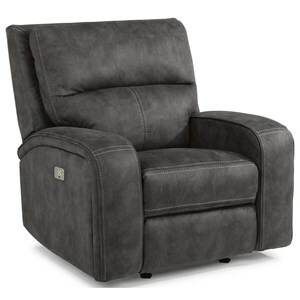 The Banff collection is a great option if you are looking for Contemporary furniture in the Los Angeles, Thousand Oaks, Simi Valley, Agoura Hills, Woodland Hills, California area.